Downton Abbey star Hugh Bonneville is backing Breaking Bad actor Bryan Cranston to beat him for the leading actor Emmy Award. Hugh plays the Earl of Grantham in the hit ITV period drama, and will compete against Bryan, Mad Men star Jon Hamm, The Newsroom's Jeff Daniels, House of Cards star Kevin Spacey and fellow Brit and Homeland leading man Damian Lewis for the prize. 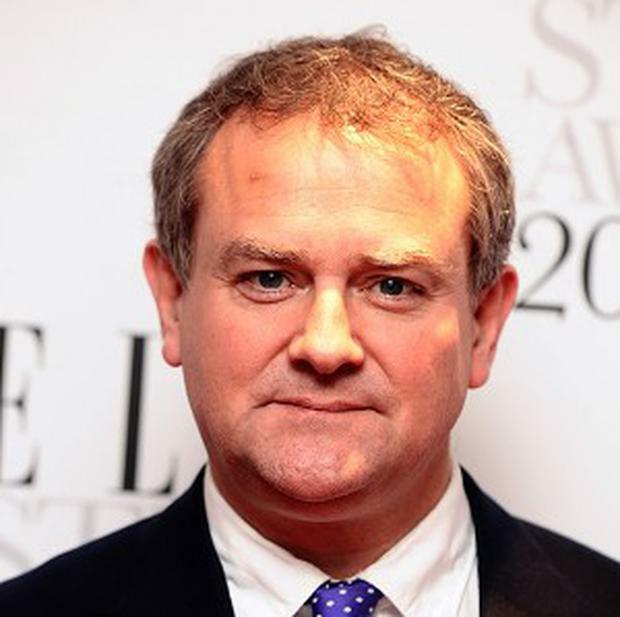 Downton Abbey scored 12 primetime Emmy nominations including Hugh's nod, best drama series, writing and directing, as well as recognition for his co-stars Dame Maggie Smith, Michelle Dockery and Jim Carter. "I don't think the pressure is on me, frankly. I feel slightly embarrassed to have been nominated alongside these amazing actors and much as I love the others I hope it is Bryan Cranston's year because that show has been phenomenal and his performance has been extraordinary. "He is a great actor, as are the others, but I think it's Breaking Bad's year." Hugh, 49, added that much of the day leading up to the ceremony would be spent grooming himself for the red carpet. He joked: "Luckily my wife gets dressed in three and a half minutes because I take four and a half hours of make up, there is a lot of sculpture going on and I can never decide which tie to wear, that takes forever. "She's already down in the car, saying "What time do you call this?"" "I am a nightmare but I will get better over the years. It has been a lot of fun seeing old friends so when I get to the theatre I will be fast asleep." The critically acclaimed drama Breaking Bad stars Bryan as chemistry teacher-turned-crystal meth dealer Walter White. It has a total of 13 nominations, including best drama series. Other programmes nominated in the coveted category are Mad Men, Game of Thrones, House of Cards and Homeland.